Camellia Meats, owned and operated by the Cichocki family, has been manufacturing and distributing quality meats in Buffalo NY since 1935. With four generations strong, we manufacture over 30 of our own products including Traditional Hams, Award-Winning Polish Sausage, and several smoked meat products. We have two retail locations that offer a full line of fresh beef, pork, deli, frozen foods, produce, and more! 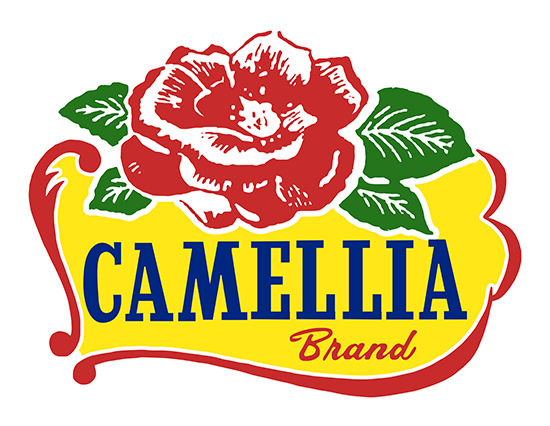 Our wholesale division offers Camellia Brand products as well as hundreds of other meats products directly to other food establishments. 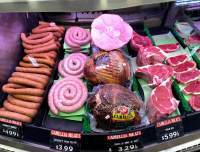 Camellia Meats has two retail locations that offer quality meat and groceries at wholesale prices! We carry a full line of fresh beef, pork, poultry, produce, freezer foods as well as 25 meat packages designed to save you money! Check out our monthly specials and visit one of our two locations today to see the savings! Are you looking to run a meat raffle? Buffalo has its fair share of meat raffles throughout the year and we have you covered. Let us help you run your meat raffle succesfully by supplying all the meat you will need. Click below to let us know how we can help you with your next meat raffle! Our stores have counter clerks and butchers on site ready to help you. All of our meat is cut fresh daily and displayed for you to choose what you want. No shleves of pre-packed steaks here! Wether it is custom cut steaks, fresh poultry or freezer foods, we have it all! Want to save some money on your next shopping trip? We have 25 meat packages designed to save you money! From deli packs starting at $10 all the way to the big packages that will stock your freezer, you can bet Camellia Meats is your one stop shop!